​If you are a picky eater, then you understand just how it feels to see a meal at the table and not want to eat it. If it were any other day you’d probably have tried to put up with it but today your whole being seems to be in a cold war with the meal before you. The same thing applies to dogs. Sure, most dogs have a reputation for eating almost everything that they can sink their teeth into. A select few, however, on the other end of the spectrum, are quite fussy about what they shove down their throat. Sometimes,irrespective of whether it’s canned food, wet dog food, or dry food kibble, they’ll hardly even give the meal a second glance. These animals are not throwing a fit. Just like humans, they too could use a change of diet. So, what is the best dog's diet for picky eaters? The truth is, there are plenty of dog food options for picky eaters. However, with so many options on the market, scouring through the hundreds of available options can be a tedious affair. Not to mention quite frustrating, too, especially if you have no idea what you should be looking for. Luckily, we have done all the heavy lifting for you so that you don’t have to. 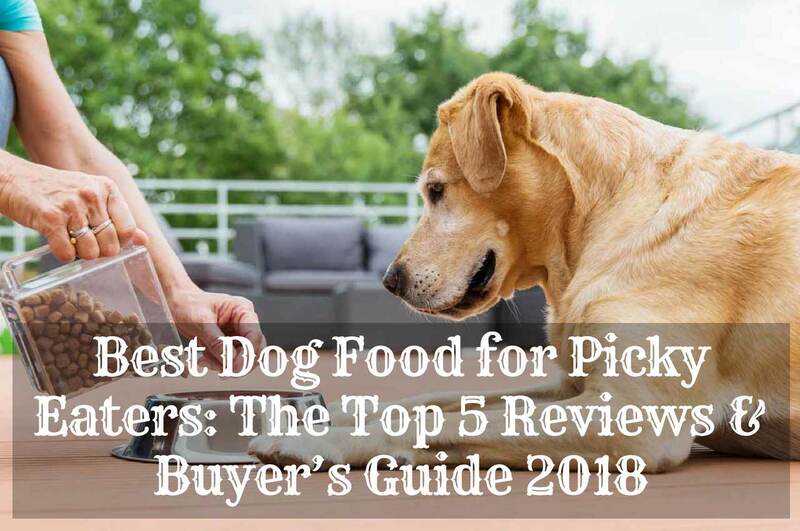 In case your dog is a picky eater, here are a couple of dog food options to consider for the perfect dog's diet.And the best part… we only chose nutritious options! So, you can rest assured that no matter which option you go for, we have your pooch’s health at the top of our priorities. 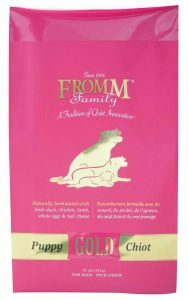 ​​One of the reasons why we chose the Fromm Family Nutritionals Dog Food is because it offers a holistic approach to complete and balanced nutrition for all types of dogs. All the ingredients contained in their dog food are approved by the USDA and produced in the company owned plants in Wisconsin, which means it has an equivalent quality to human food. The dog food brand is also popular for its uncomplicated recipes and tasty flavors thatfussy dogs, in particular, seem to have a liking for. Not to mention the high-quality ingredients in their products. 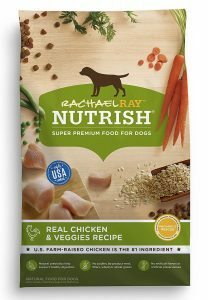 ​​This is another great dog food option for picky pooches. The diet contains an optimal blend of ingredients,such as salmon blended with tuna, crude protein, crude fat, calcium, Linoleic acid, Moisture, omega-3 fatty acids, omega-6 fatty acids, vitamin E, vitamin A, phosphorus, glucosamine and selenium that provides your dog with the energy they needand balanced nutrients that support a healthy skin and beautiful coat. One advantage of this diet is that it is highly digestible and helps your dog to absorb more nutrients meaning that there’ll be less wastage. 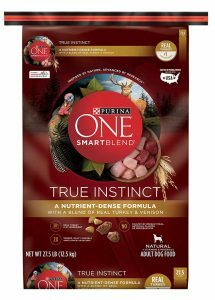 If you are searching for good quality dog food that’ll make all the difference for your fussy friend, the Purina SmartBlend Dog Food is the right menu for your pooch. 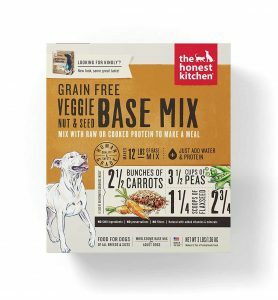 Honest Kitchen Grain-Free Mix Recipe contains a selection of veggies and fruits that are perfect for dogs that are picky about what they eat. It is a grain-free diet that augurs well with dog owners who prefer to feed their dog's raw food or those looking for a simpler way to serve raw meat. It is an excellent option for dogs with multiple meat sensitivities because you can pick the perfect protein for your pooch. This is on top of the fact that it contains absolutely no red flag ingredients, such as soy, corn, rice, wheat, or beet pulp. Not to mention the dog food expands considerably after you add water. So, a 7-pound box is equivalent to 29 pounds of fresh food. 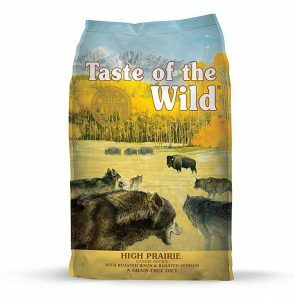 One of the brands worth trying when looking for the perfect menu for a fussy dog is Taste of the Wild. The diet contains a grain-free formula that provides excellent nutrition for your dog and a tasty sensation that makes your pooch crave for more. It is made with real roasted meat and a blend of protein sources as well as vegetables and fruits that deliver natural antioxidants to help support a healthy lifestyle. One thing you’ll love about this menu is that it packs a great deal of nutritional value for a justified price. If you want to ensure that your dog bounces back to its normal appetite, Taste of the Wild is just what you need. Costing a little under $50, this company’s dog food is made with simple wholesome ingredients that your pooch will find rather appealing. It is made of high-quality proteins such as beef, chicken, and seafood combined with veggies and essential minerals and vitamins. It contains real turkey that builds and maintains lean muscle mass and real venison that keeps your dog full and satisfied. The brown rice and peas help support a gentle digestion, whereas the cranberries and carrots are high in fiber which is a great source of minerals and vitamins that your dog needs for a complete and balanced diet. This is on top of the fact that it contains L-Carnitine which helps support a healthy metabolism. Watching your dog lose weight by the day due to their picky character is heartbreaking. You've obviously grown a bond over time and if one person is feeling down, then it will rub off on the other. Here are some things you can do to encourage your pup to eat. Would you eat cereal if you knew in a couple of hours you will be eating a sumptuous burger? Probably not! And neither will your pooch. If you’re so accustomed to feeding your furry friend yummy table scraps, they’ll prefer to wait a little longer if it means eating yummy treats at the end. Therefore, it is recommended that you stick to feeding your pooch dog food instead. However, if you decide to supplement dog food with human food, then add a little to their dog food instead of random offerings. Feeding schedules are a little more common than you'd imagine. Not just for humans but for dogs too. Furthermore, if you have a picky pooch, keeping a feeding schedule helps stimulate their appetite a notch, which is just what you need if you’re having trouble getting your furry friend to eat. Sometimes, picky eating could be totally unrelated to food. Has your pooch been unwell in the recent past? Are you under a lot of stress that it's affecting your pooch? Any recent changes around the house? Any of these could create a temporary loss of appetite. One way to encourage your pooch to eat is to incorporate a variety of meals. Dogs have an acute sense of smell so if you want to get them to eat, you have to make the meal smell appealing. During this time, give your dog a variety of foods with different flavors. The aromas from the different flavors will help build up the pooch’s appetite and tempt it to eat up all the food. However, some dogs are very sensitive to dietary changes and so you want to tread carefully when trying new food. Fatigue can be as a result of many things. But, in serious cases, where its combined with a picky appetite, then it could be a warning sign of a deeper underlying issue. And definitely something you need to consult with your vet about. It is a standing debate whether to feed your dog human supplements or not. However, there are many human food supplements that are perfectly safe for dogs. Just as there are some foods that might agree with humans but are toxic to dogs. To be absolutely sure, you can consult with your vet first. How much food are you really giving your pooch? Could it be you're feeding them a little too much? If you are, that could be the reason why they have become picky about the food they eat. Measuring the portions helps you know exactly how much your pooch is having and makes it easy for you to notice if there's a drop in appetite. If you feed your dog dry food, the best way to make it more appealing is to wet it up. Adding a little water helps release the aromas and tempts the pooch to eat. A change in appetite, especially if your dog hasn’t had a history of being picky is definitely a cause for alarm. And something that you no doubt want to check out with your vet. There are multiple reasons why your pooch could be vomiting and suffering from diarrhea. Some are pretty obvious really especially if you’ve overfed your dog. However, a lack of appetite followed by vomiting and diarrhea could mean that there’s something bigger at play. You need to bring a vet onboard right away as it could also be a sign of poisoning or a serious ailment. If your dog isn’t eating as should be, it will ultimately shed off weight and this might result in poor health altogether. So, signs like excessive shedding and being underweight coupled with a loss of appetite are troublesome and should be checked by a vet. Like infants, small puppies are a little more vulnerable to sickness if they don’t eat as they should. And while missing one meal isn’t that much of a big deal, missing several meals could be a sign of an underlying issue that needs to be checked out by a vet. Many dog owners don’t know what to do when their pup gets all picky and fussy. They try many things including giving the pup table scraps but some efforts are more detrimental than helpful. But you can't go wrong with the dog food options we have reviewed. These dog foods are not only nutritious in every sense but they are also quite tasty and have appealing aromas that encourage your dog to eat more. This is on top of the fact that the menus offer your dog more variety, which is just what anyone with a loss of appetite would need to bounce right back to normal!